Texas-raised musician Khalid broke into the mainstream in 2017 with his highly regarded debut album American Teen. The record has achieved gold status in the UK and features the hit singles Young, Dumb & Broke and Location. The album was well received critically, picking up two nominations at the 60th Annual Grammy Awards. Last summer Khalid scored his biggest hit in the UK to date with the Benny Blanco and Halsey collaboration Eastside, which peaked at No.1 on the Official UK Singles Chart. The track remained within the top 10 for a further seven weeks. 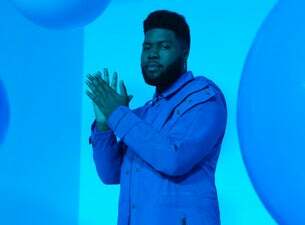 Other artists Khalid has collaborated with include Alessia Cara, Logic, Marshmello, Billie Eilish and Calvin Harris. In early April Khalid released his highly anticipated sophomore studio album Free Spirit, featuring the singles Talk, My Bad, Self and Don’t Pretend and confirmed details of a forthcoming UK arena tour kicking off in September.